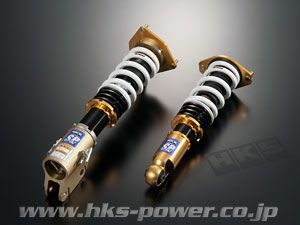 We have 1 x set of HKS Hipermax SP coilovers in stock for a Impreza GDB (E-G) 06/2004- model. Scoobynet members price is £1250 delivered. These coilovers are still available. Only one set in stock. These are the stiffer of the 2 x options that HKS make. Ideal for track and fast road use. Can these coilovers be refurbished in the UK when issues arise? HKS Europe use to offer a rebuilding service but the service never got used as no one ever required them servicing. You wont get an issue with these. HKS Europe have never had a set of Hipermax 4s returned. If they ever needed servicing which is unlikely then they can be sent to Japan or have the work carried out by an independent. Thats a very bold statement. Can you warrant that lol? Do you have costs for refurbs ? That is what the guys at HKS Europe have told me and i have been working with them for about 4 years and trust what they say. We have never had to arrange the rebuild of a set of Hipermax coilovers. Your worrying about a cost that you probably wont ever have to pay. Thanks for the reply, Please don't think I'm trying to be difficult! I like the look of these coilovers and I understand they have had great reviews albeit in the US. As I had mentioned before about rebuilds, I'm only going on what I know about Asian market coilovers, such as Zeal, older HKS, Tein etc. I was quoted £200 per side to refurbish my old Type HA Teins and it just wasn't financially feasible. It worked out more cost effective to buy the Super Streets at the time. Can you find out normal servicing costs for these coilovers without any additional work as a ball park figure including any charges needed to have them shipped to Japan etc? Finally, do you know the spring rates on these SP models? Approx estimation of the costs would be about £650 - This includes shipping to and from the HKS factory in Japan. Only high end race spec coilovers require regular maintenance and good quality road ones should not. But if anyone is still interested in any HKS coilovers or any other brand of coilovers for there Scooby then please get in touch and i will give you a good price. Revolution Special Offer Eibach Coilovers Bugeye Owners look Here ! !